It’s hard to think that ten years ago, now, I was taking my first trip to Albion – a curious land that would devour hours of my time and earn my devout allegiance. Fable has never been known for a lengthy main campaign, but the games have always offered a substantial amount of side content and secrets that encourage players to invest more than the 10 or so hours it would take to just beat the game. The franchise has been the victim of its own over-hyping, but nonetheless it’s a franchise I hold near and dear to my heart and I’m thrilled that I now have the opportunity to replay the first game, my personal favorite, fully remade. Fable is an interesting beast. As a friend of mine has described the games, “It’s very British.” It’s a cheeky game with some great hit-or-miss humour but all wrapped in a charming package with a great story. The storytelling in Fable has never been high art or anything of that sort, but the games always have a well-crafted, non-linear plot, something I appreciate. The Fable universe has been keeping me entertained and intrigued for ten years now, and I’m pleased to say that the re-release more than does the premiere installment justice. I’ve really grown to appreciate how Microsoft handles their remakes. While you see a ton of “HD” re-releases from the last console generation hitting the market from several other publishers, those games suffer from a severe case of “uprezzing.” Little more is done with those titles than giving players new high-resolution textures and widescreen support to stare at – the visuals are still relatively unchanged from the initial game release. Now new character models, no new particle effects, no new lighting, no new audio… it’s the same game but just a bit (and I mean a bit) shinier. 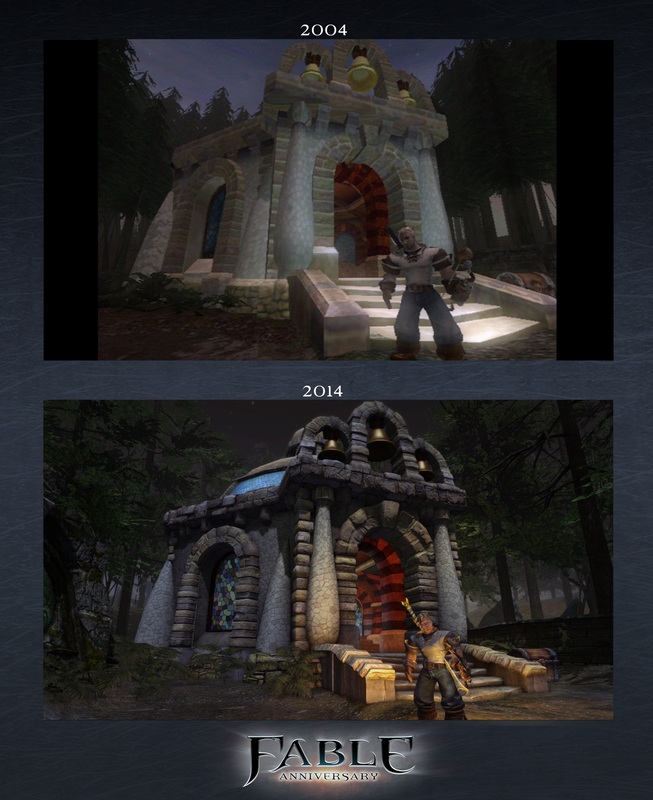 Microsoft Studios, on the other hand, completely remakes the game visually. The original game content and experience is untouched (aside from maybe some new controller options) while the game’s visuals are rebuilt with maybe a healthy helping of new audio to go along with it (with Halo: Combat Evolved Anniversary being a prime example of new audio really lending to the rebuilt experience). It’s not just a high resolution copy of an already made game, it’s a complete visual reimagining of a world we’re already familiar with. Perfect Dark and Halo really demonstrated that Microsoft was dedicated to nurturing its properties and giving fans more than just a recycled product. Fable does the same. While the gameplay may not hold up as well next to its more modern counterparts, the experience that I loved ten years ago is still there. The belching, the farting, the questing… it’s still the classic Fable experience that so consumed much of my mid-to-late teen years and every moment I spend in the game is accompanied by a nostalgic high. I love Fable and this is the game that always comes to mind when I think of revisiting Albion… I’m almost ashamed that it’s been so long since I’ve worked my way through the first game (which, I’ll admit, I haven’t played through since Fable II was released). I’m not, though. Playing through Fable Anniversary, in spite of the many, many times I’ve played through the first game, is, amidst the nostalgia, almost a new experience again since it has been so long. It feels fresh, yet familiar and not just because of the visual update. The visuals, though, are great. It’s really nice to see that such a great amount of care went into rebuilding the world of Albion. It is, however, hindered by the aged and clunky animations of the 2004 game hiding underneath. While some things feel revamped and fluid, there are those awkward moments where characters will freeze and whip around robotically. It’s jarring and takes from the experience ever so slightly – but as a whole, the game looks great and the love that went into recreating Albion is apparent in every screen. 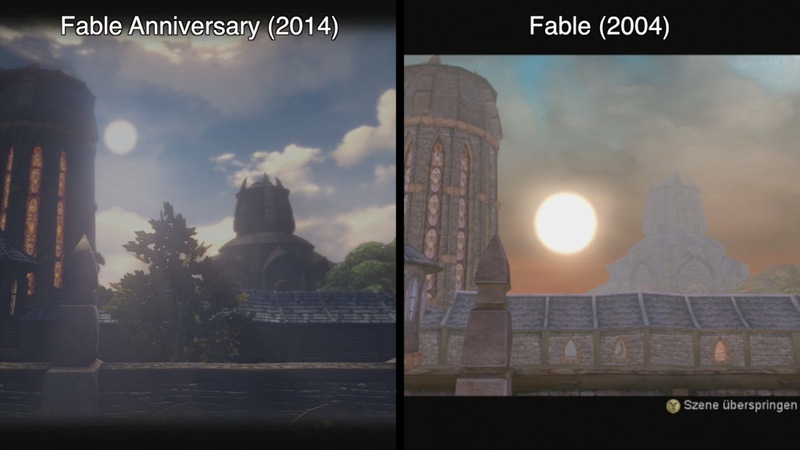 I know I may be biased and looking at the game through rose-tinted glasses or whatever, but Fable Anniversary feels great. Playing the game brings me some kind of gaming bliss and the new visuals should set a new standard for HD remakes – something I also said about Halo: Combat Evolved Anniversary. I feel like the folks working under the Microsoft Studios banner aren’t given enough credit for the work they do on their HD remakes – though that’s a topic for another time, I suppose. Fable Anniversary is an old game dressed in new game clothing. It’s as fun as it was ten years ago, but looks substantially better. Giving loyal Xbox fans achievements to earn is another plus. 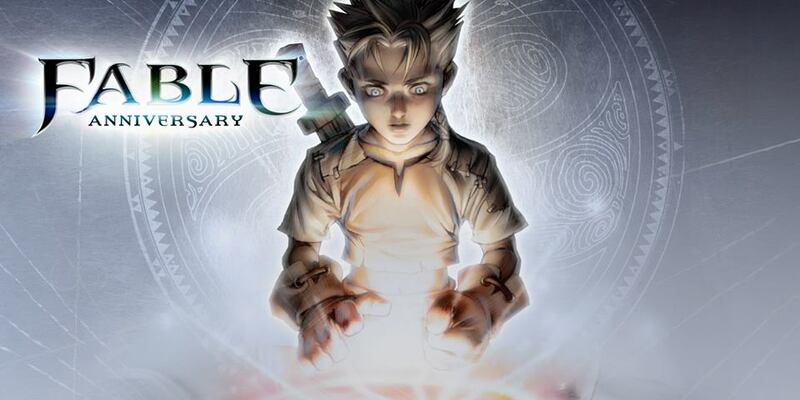 Fable is a piece of gaming history and this Anniversary re-release does it justice, it would be hard, even when not considering my bias, to not recommend this game… it’s just too much fun and the budget price makes it even more enticing. Gears of War is a big franchise – one that’s managed to stay exclusive to Microsoft’s Xbox platforms for 8 years due to a close partnership with Epic Games. Each game in the franchise was published by Microsoft, but the intellectual property still remained in the possession of Epic – meaning that Epic, after fulfilling their agreement with Microsoft, could have potentially brought the franchise to Sony’s platforms. This has now changed as Microsoft is now the IP owner of the Gears of War franchise – a win for Microsoft who, since the release of the Kinect, has been struggling to boost their library of exclusive titles. 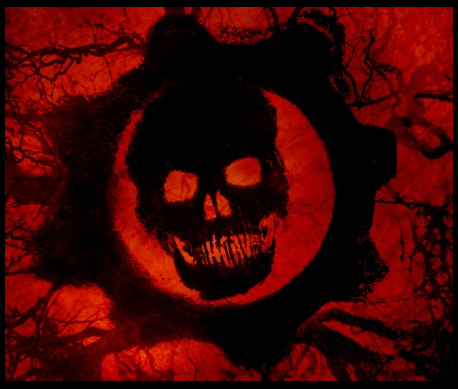 As an avid gamer, I would like to see Microsoft pursue more new franchises, but a Gears game on my Xbox one is mighty tempting. On the other side, while I have yet to play Judgment, I felt that the third game was a solid conclusion to the franchise. As much as I love playing Gears of War, I do feel like sometimes it’s okay to let a franchise end – especially when the end pretty well concludes the story.